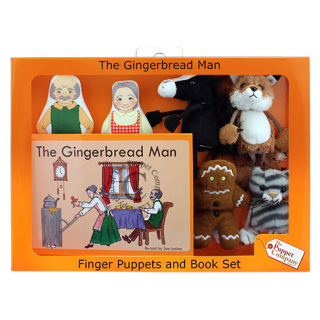 Traditional Stories each have a selection of finger puppets to help bring the story to life and a hardback book to tell the story. 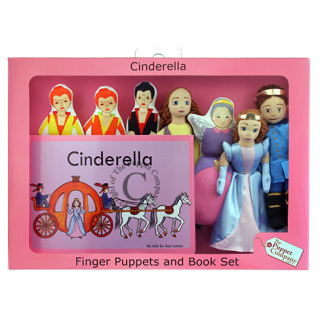 Completed in a beautifully illustrated gift box. The set contains a selection of finger puppets to help bring the story to life and a hardback. Completed in a beautifully illustrated gift box. 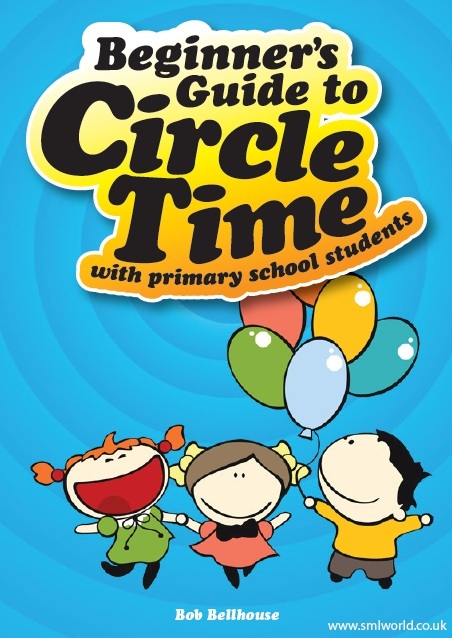 A set of 30 Circle Time discussion cards with CD-ROM containing reproducible worksheets, each one showing a start to a sentence which is completely open-ended; children are therefore able to interpret the idea in their own individual way. 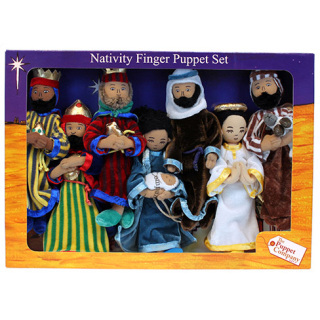 All the ideas are based on the child himself and his world and will really extend the thought processes as every one has an infinite number of endings. 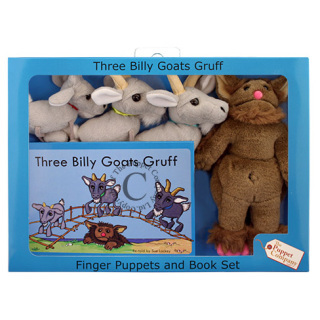 A delightful story with accompanying DVD to teach young children what to do if they do get lost or separated from their parents or friends. 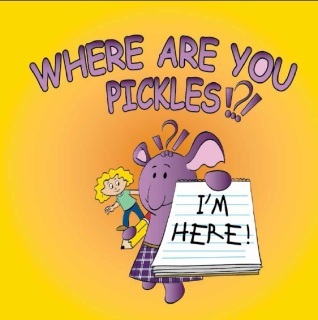 Pickles is a cheeky, naughty, fun and lovable purple teddy who suddenly realises that his owner, Erin, isn't where he left her. 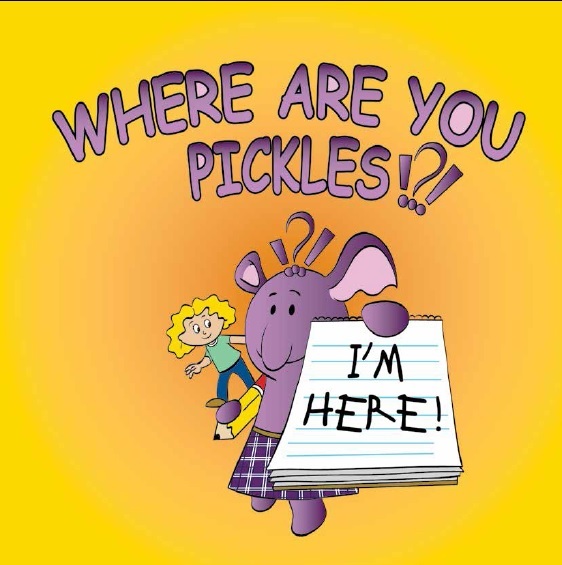 After a while, he starts to wonder whether it is really Erin who has gotten lost? Do not really know how to 'like' someoe, and definitely do not know how to love someone or are affectionate only if they want something. Hattie lives by herself on an island. Lots of people try to bring kindness to Hattie, but each time she is very horrid to them, smashing and spoiling everything they try to do for her. So after a while they all stop trying and Hattie is very alone. 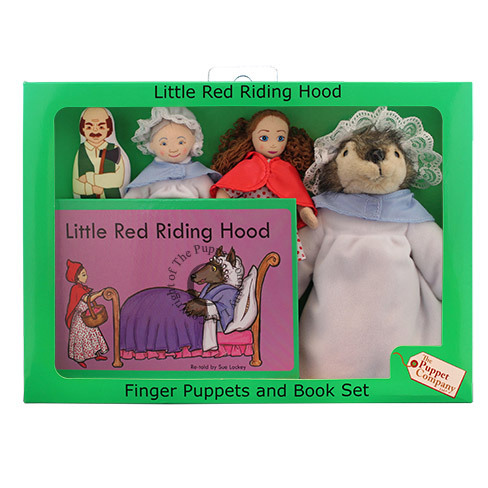 With the help of the lapping water-over-her-toes, Hattie understands that because she'd been a very sad and frightened little girl in a too hard world, she had become hard too, so that the awful fear and the awful pain would go away. 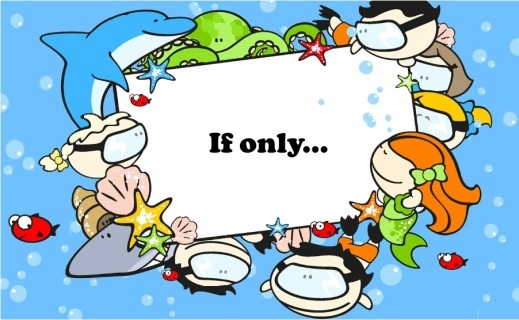 Children can tell or write their own story using the words/pictures on the cards: they quickly adopt and adapt ideas and really enjoy the challenge of thinking up interesting story-lines. 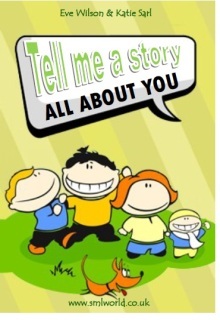 Can be used with oral or written story-telling so that everyone, even those children who normally find story-writing slow and laborious, get a chance to shine. 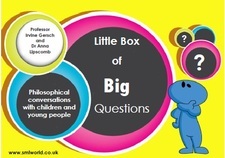 they offer a perfect opportunity to open up and express themselves in a non-threatening situation and for the listener to gain insight into the child’s feelings and experiences. 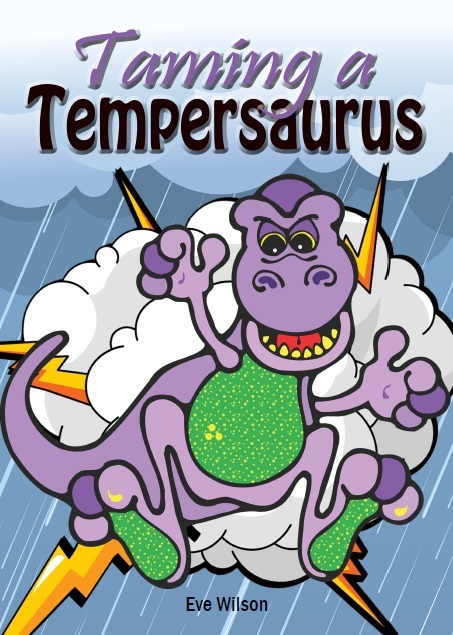 Colourful cards designed to help improve language, communication and imaginative story-telling. Dad is not happy – in fact, he is fuming! 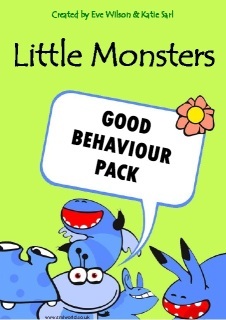 Rewarding good behaviour is called positive reinforcement and it works! 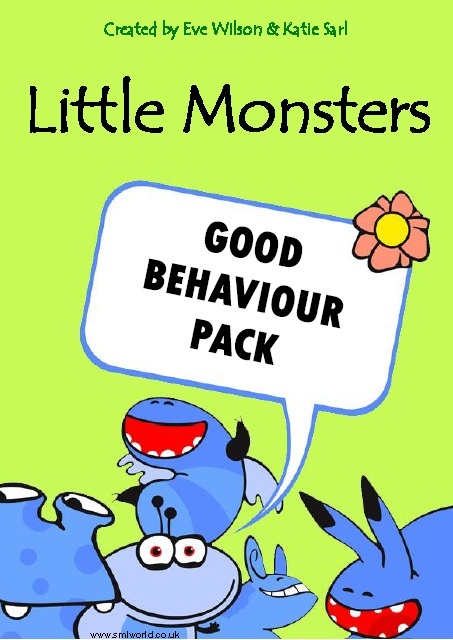 Using positive reinforcement, The Little Monsters GOOD BEHAVIOUR PACK follows the basic principles of good discipline regimes - firm, consistent - rewarding good behaviour and ignoring bad. 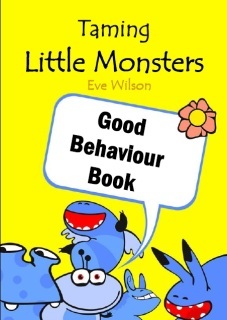 How to use positive reinforcement techniques to improve behaviour in children. 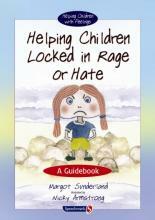 Children can be little angels; they can also be little monsters, exhibiting difficult behaviour. 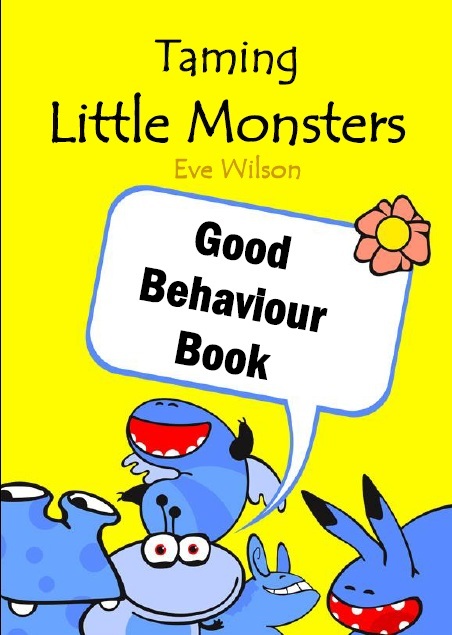 This book explains how positive reinforcement techniques will help give children positive goals to work towards instead of only focusing on negative consequences to avoid. songs which will really get kids wiggling and jiggling. Have fun and keep fit at the same time! Includes Wiggles and Jiggles, Let's Go Driving and Hokey Cokey. 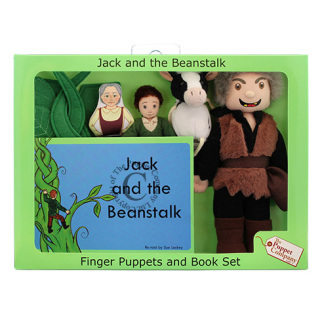 Includes DVD-style box and expanded User Guide booklet. 7. Do Your Arms Hang Low? Volume 5 of the Fun & Fitness range. What better way to encourage a fit and healthy lifestyle than singing and exercising along to these great new songs. table, lyrics and user notes for each song. 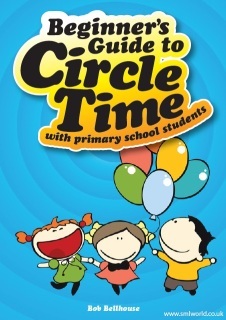 Action songs for warming up, co-ordination, co-operation, control, balance and cooling down • Circle songs and songs on the spot • Imaginative and cumulative songs • Hand apparatus songs. Volume Two - A great collection of 22 action-packed songs and rhymes for a fun work-out. 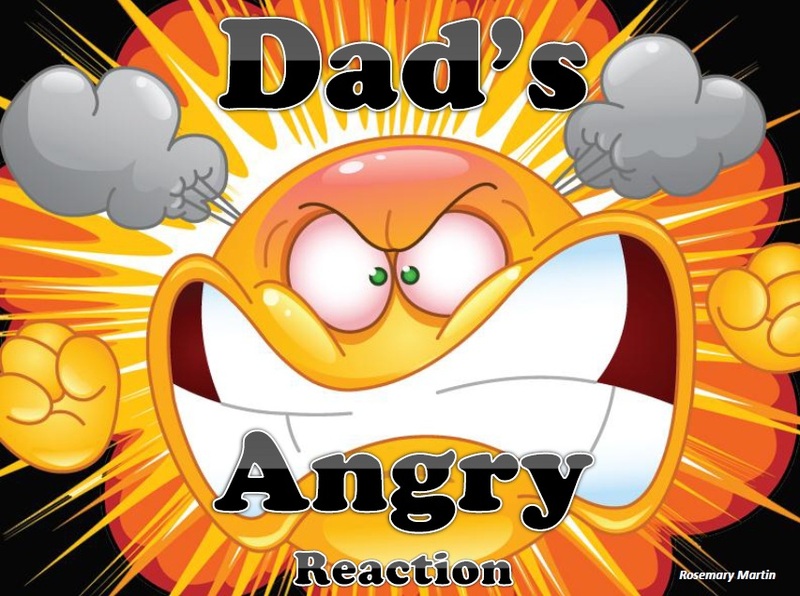 15 lively action songs and 11 action rhymes. Get bodies moving to the beat. Volume 3 - action packed fun. You can do the Funky Monkey or pretend you are Old Macdonald, moving around like all his animals? Includes all 5 Fitness Fun CDs. Warm up, Work Out, Bend & Stretch, Wiggle and Jiggle and Go for Gold. behaviour. or as a refresher for more experienced teachers wanting to revive their skills and understanding. Help children develop empathy, self-awareness, and excellent social and emotional skills. 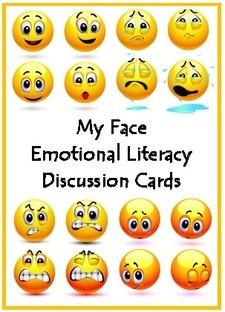 A set of 20 fun and appealing emotions discussion cards to use with children. Includes a FREE CD-ROM is included for use on individual computers or to project onto a whiteboard for whole-class learning. 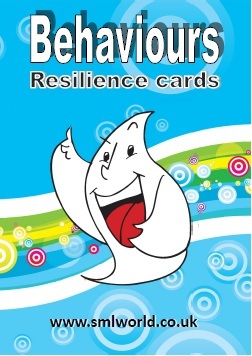 The Resilience Cards may be used as teaching aids in class or as discussion starters in counselling situations. 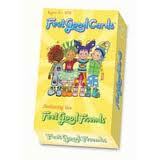 No doubt the cards will be adapted for many other uses with young people, staff and families. The ‘Ghost character exhibits many behaviours, some helpful, some not so helpful. Just like most humans really. 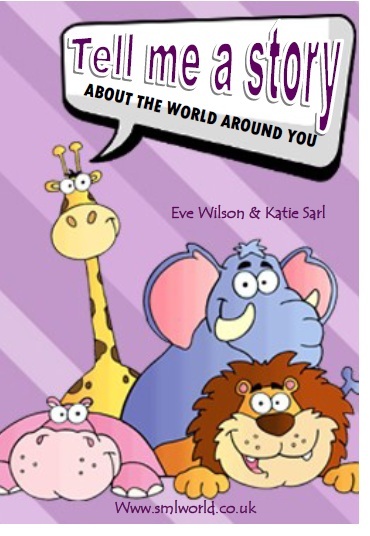 People of all ages find them humorous and thought provoking. Contents: 40 full-colour cards, 26-page booklet. 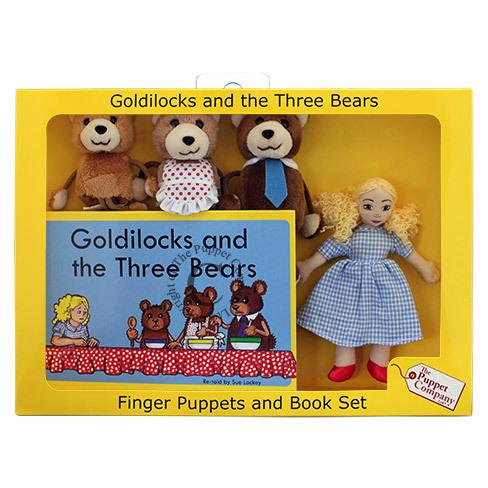 A relaxation CD with 4 magical journeys which benefit children in different ways. The CD combines creative visualisation, breathing techniques and much more to instil positive beliefs and to release tension in the body and mind. 1. Tiggys Musical Garden - great for easing tension in the body & mind. 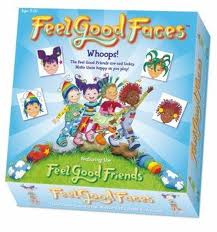 'The Feel Good Friends are sad today, make them happy as you play!' A Team Game to make everyone feel good. 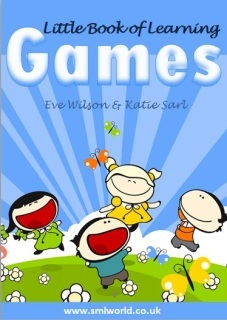 A great way for children to gain confidence and self esteem with this beautifully illustrated game. 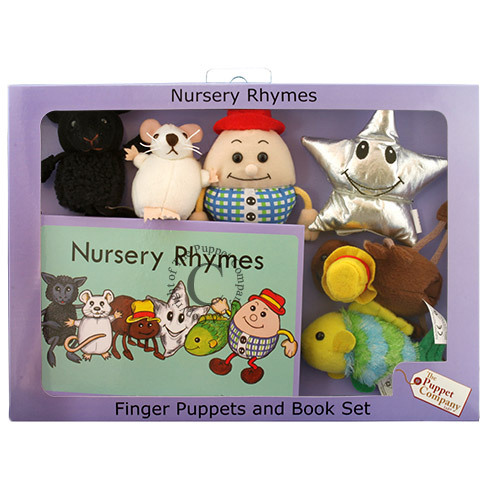 Help children explore different feelings & emotions and ways of expressing them in a fun and engaging way. Children will be sharing, caring, laughing and smiling whilst focusing on their own and others unique qualities. Contents: 1 Board, 16 face cards, 26 feeling cards, 28 thinking cards, 28 whoops cards, 6 player counters, 1 egg timer, 1 dice. 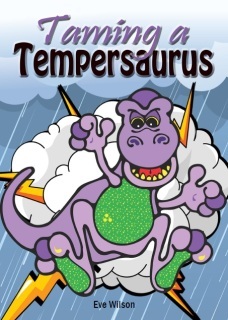 Change negative thinking to positive with these fantastic feel good cards! Saying regular affirmations can change your thinking pattern from negative to positive. 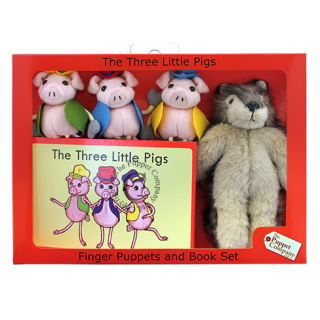 This will help children to Feel Good about themselves making them happier and better able to cope with any problems they might face. 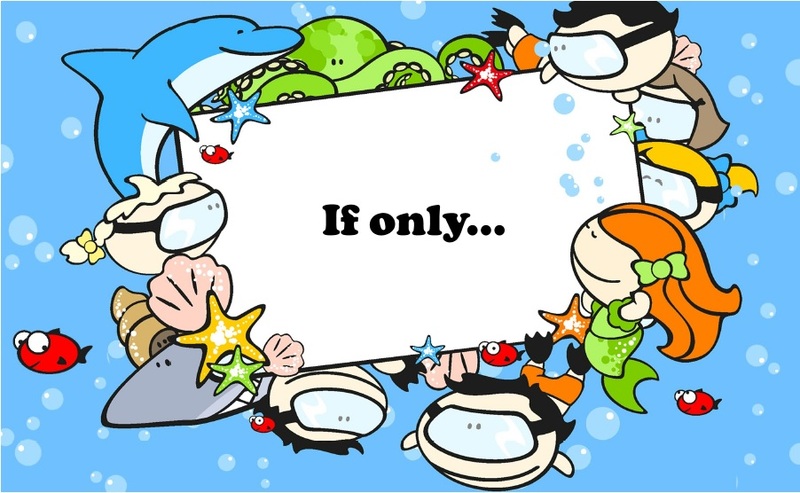 The educational game cards can be used in many different ways; such as choosing one first thing in the morning to start the day positively or stick them around on the classroom walls! 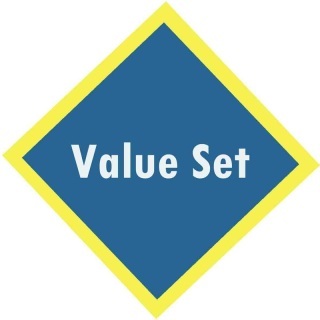 Help children focus on what they are good at and why they are special! An 'All About Me' Book with a difference!! 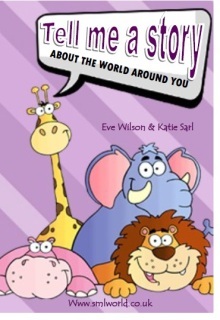 A fun, imaginative book for kids to record details of their life, focusing on what they are good at and why they are special. This is an ideal way to get kids to feel good about themselves, building confidence and self esteem. It encourages children to set goals from a young age and encourages them to think about their world and how to make it a better place.